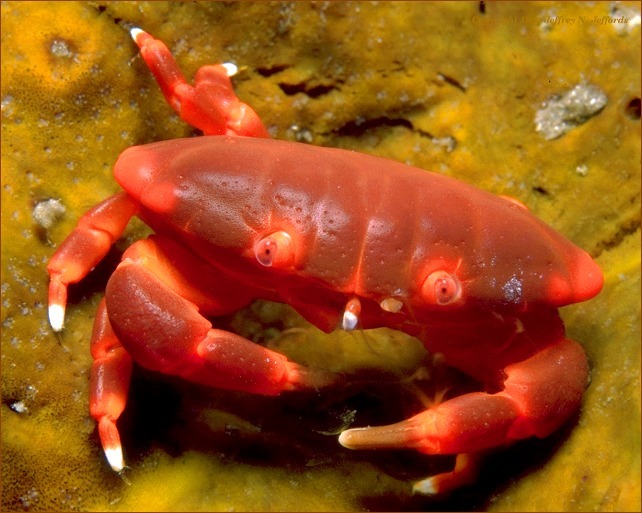 Crab is a beast of decapod crustaceans from infraordo Brachyura, which is known to have a "tail" is very short (Greek: brachy = short, Laura = tail), or the stomach (abdomen) completely hidden under the chest (thorax). Crab's body is protected by a very hard outer skeleton, composed of chitin, and armed with a pair of tweezers. Into the Brachyura including crabs, crabs, and swimming crabs. 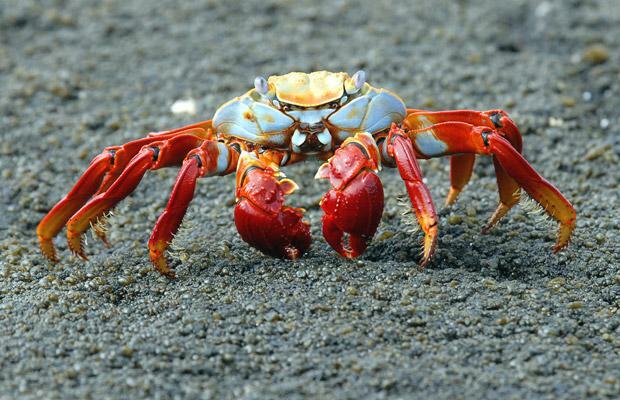 Crabs found in all oceans of the world. 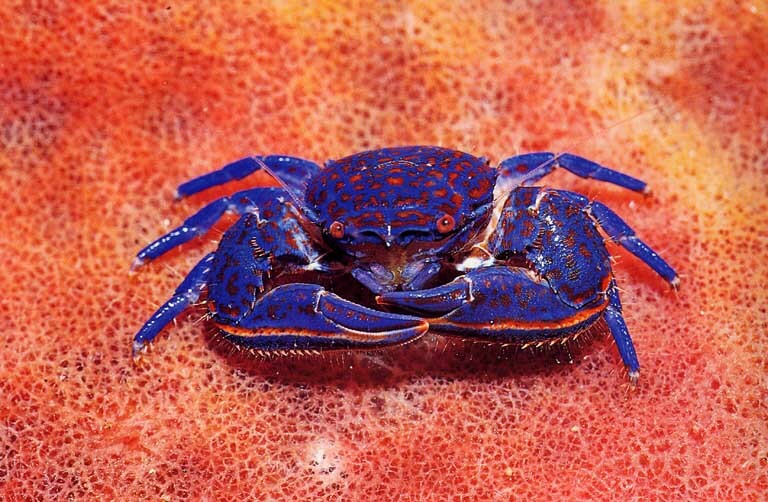 There are also freshwater and terrestrial crabs, particularly in tropical regions.